Jose Gaspar, known by the name Gasparilla, is a legendary Spanish pirate, called the last of the Buccaneers. Some say he began life as a troubled youth who kidnapped a young girl for ransom. He was captured, and given the choice between prison and joining the navy. Gaspar went to sea, where he served with distinction for several years before leading a mutiny against a tyrannical captain and fleeing to Florida. Others claim Gaspar was a Spanish nobleman who reached a high rank in the Spanish navy and became a councilor to King Charles III. When a jilted lover brought false charges against him, he stole a ship and vowed to exact revenge on his country. 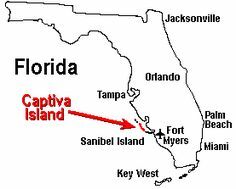 No matter who tells the tale, Gaspar fled to the virtually uninhabited west coast of Florida about 1783 and turned to piracy. Gaspar established a base on Gasparilla Island and was soon the scourge of the Gulf of Mexico, where he plundered dozens of ships and amassed a huge cache of treasure. Legend says he put most male prisoners to death or recruited them as pirates, while he took women to nearby Captiva Island, where they would serve as his concubines, become the wives of his pirate crew, or await ransom payment from their families. One of the most famous tales of Gasparilla involves a Spanish (or Mexican) princess named Useppa. Though captured by the pirate, she consistently rejected his advances, until he threatened to behead her if she would not submit to him. When she still refused, he killed her in a rage. Gasparilla instantly regretted the deed and took her body to a nearby island, which he named Useppa in her honor, and buried her himself. 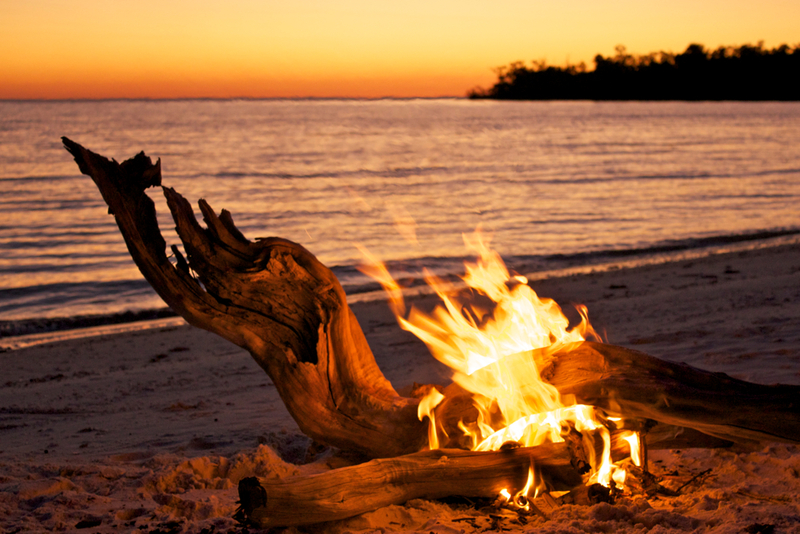 Similarly, Sanibel Island is said to have been named by Gaspar's first mate, Roderigo Lopez, after his lover whom he had left back in Spain. Empathizing with his friend's plight, Gaspar eventually allowed Lopez to return home, and even trusted him with his personal log. All the legends do agree that José Gaspar met his end in December 1821, the year that Spain sold the Florida Territory to the United States. He had decided to retire after almost 40 years of pirating, and he and his crew were dividing the treasure at his base on Gasparilla Island. As the pirates were sorting the coins, a lookout spotted what seemed to be a fat British merchant ship, an opportunity too good to pass up. But When Gasparilla and his crew attacked, the intended victim lowered the Union Jack and raised an American flag. This was no merchant ship. It was the pirate hunting schooner USS Enterprise. In the battle that followed, Gasparilla's ship was battered by cannon fire and in danger of sinking. Rather than surrender, Gaspar wrapped an anchor chain around his waist and dramatically leapt from the bow, shouting "Gasparilla dies by his own hand, not the enemy's!" 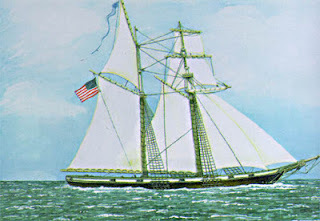 His surviving crew, not quite so brave, were captured and hanged, but a few escaped. In most versions of the story, one of these survivors was Juan Gómez, who told the tale to later generations. John Gómez (also known as Juan Gómez and Panther John) lived in a shack on otherwise uninhabited Panther Key near Marco Island in Southwest Florida in the late 1800s. He was well known in the area as a skilled boat pilot and fishing guide and as a teller of tall tales, mostly about his own heroic adventures. Among other things, Gómez claimed to have been born in Portugal in 1781 (which would have made him the oldest person in the world upon his death in 1900), saw Napoleon as a youth in France, became a cabin boy on a merchant ship and jumped ship in the United States, served as a scout for the U.S. Army during the Seminole Wars, served as a coastal pilot for the U.S. Navy during the Civil War, did some pirating in Cuba, and escaped from a Cuban prison before finally settling in the Ten Thousand Islands area of southwest Florida. We don’t know Gómez's stories well, since they were told very informally - usually on fishing trips or around a campfire - and are documented only in a few letters and obituaries written by friends when Gómez died in 1900. Accounts of his tall tales differ, and attempts to confirm the truth of surviving details have not come up with much. 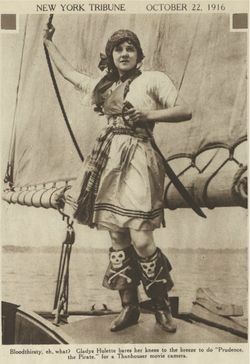 Most of Gómez's versions of Gasparilla’s legend claim that Gómez himself was an important member of Gaspar's crew or even his brother-in-law. Since his death, many fantastical and conflicting claims have been made about Gómez's piratical exploits with Gaspar. These stories also relate Gómez's knowledge of several huge treasure caches supposedly hidden in the Charlotte Harbor area of Florida. As tourism in Florida grew, local advertisers elaborated the stories into a full-fledged legend. They were not at all bothered by the fact that no actual proof of Gasparilla’s existence had ever been found. He is not documented in any contemporary accounts, his name is not mentioned in any US Navy reports, and the USS Enterprise has been proven to be somewhere else as the time of the pirate’s supposed death. But pirates are fun! Despite a lack of proof that the pirate ever existed, a Florida club called the Mystic Krew of Gasparilla commissioned a “biography” of their hero. The book fooled a lot of people, but the Krew’s intent seems to have been mostly to promote their local parade and festival. The Gasparilla Pirate Festival began in 1904, when Tampa businessmen staged a theatrical pirate “invasion” of their city. Tampa now hosts Gasparilla-themed events from January to March. But the high point is still an "invasion" by José Gaspar and his crew, which takes place on the last Saturday in January. Members of Ye Mystic Krewe of Gasparilla (based on the Mardi Gras krews of New Orleans) accompanied by hundreds of private boats, sail across Tampa Bay to downtown Tampa on the José Gasparilla, a 165' long "pirate" ship which was built for this purpose in 1954. The mayor of Tampa then hands over the key of the city to the pirate captain and a "victory parade" marches down Bayshore Boulevard. An average of over 300,000 people attend the event, which contributes over $20 million to the local economy. Not bad work for a pirate that never even existed.